Cooking is a basic life skill that everybody can enjoy and should experience. The activities on the cook clubs are designed to be inclusive, catering for a wide-as-possible audience. Each session includes lots of hands-on, interactive cooking and food preparation to increase skills and confidence in the kitchen. 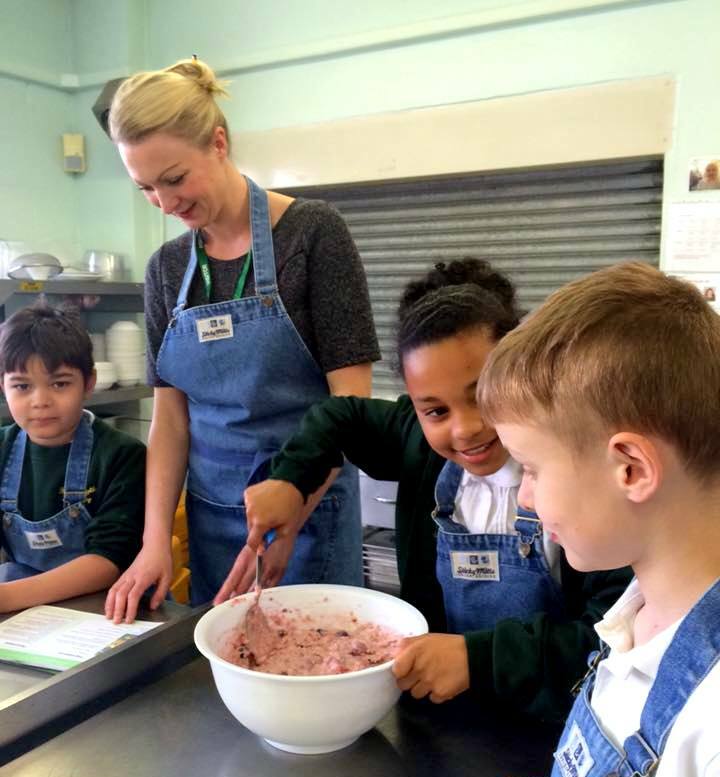 We're offering 12 schools the opportunity to host a free 6-week cookery club for parents and their children. The course teaches new skills and builds confidence in the kitchen. Each week we’ll cover a healthy eating message and cook or prepare a meal based on that message, e.g. 5 a day, sugar swaps, reducing fat and salt. We identified primary school locations that are likely to have the greatest need and we have taken into account dietary preferences such as dairy, gluten and wheat intolerances, recommending alternative ingredients. We will also keep the recipe instructions as simple as possible, assuming people are new to cooking and may have limited ability. 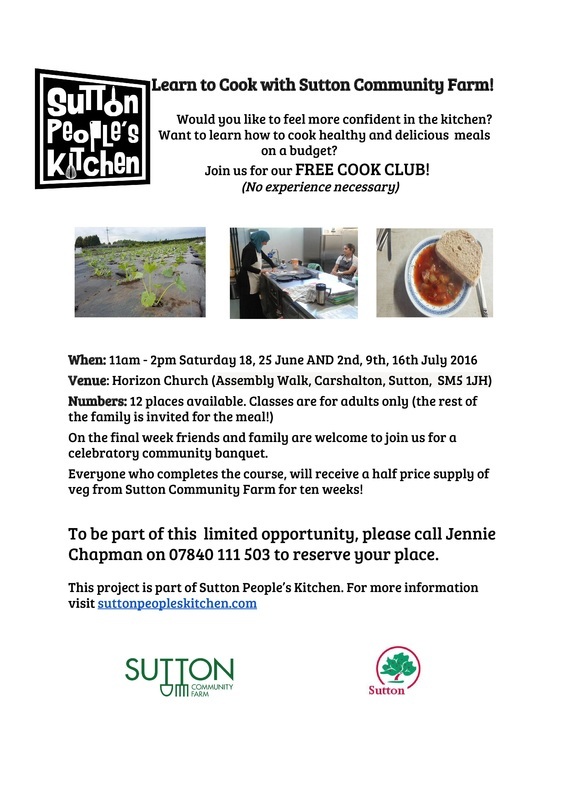 On the final week of the cookery club, we invite participants to visit Sutton Community Farm, for a tour exploring how food is grown. Which schools are we running cook clubs at? Brandon Hill Primary, Dorchester Primary, Foresters Primary, Green Wrythe Primary, St Elpheges Catholic School and Malmesbury Primary School. Our new set of Cook Clubs start on the 13th Sept to 20th October 2016 at Foresters Primary, Green Wrythe Primary, St Elpheges Catholic School, Sherwood Park School and High View Primary. ​Join us for a 5-week community Cook Club at Horizon Church in St Helier from 18 June - 16 July (11am-2pm), where our experienced Cook Club Tutors will show you how to make delicious and healthy meals. The club is for adults but partners and children are welcome to share food after every session. Participants also have the opportunity to invite their friends and family to a community banquet in the final week. For more info, please email or call Jennie on 07840 111 503 to reserve your place. Book early to avoid disappointment! We launched our pop-up events earlier in April, helped by our enthusiastic American student team from WPI University, with four successful stalls on Sutton High Street celebrating food, cooking, food growing and healthy living. Visitors to the stall enjoyed cooking demos, free tasters, and free recipe cards, as well as healthy eating games & activities and information. We were joined by some brilliant chefs and health gurus, such as Rachel de Thample, Annabelle Randles, Jennie Chapman and local celebrity Chef RF. 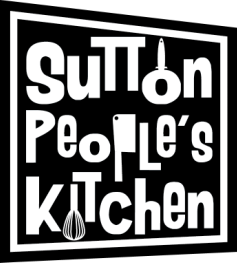 In the summer we'll be part of the buzzing Sutton Farmer's and Artisan Market, and you could also find us at St Helier's Festival in June. Come and visit our stall in June and July to taste some delicious local food and get some practical new recipes. Bring your children to play some fun games and learn about healthy eating . Please note: we won't fill your inbox with lots of emails. We don't like that either. We will just send occasional emails with updates about the project and events.